Our volunteers support us in many different ways, all making a difference to the lives of older people. MHA offers residential, nursing and specialist dementia care within our care homes, which are situated throughout the country. Our volunteers contribute to enriching the lives of residents. There are opportunities to support and befriend residents, assist with a range of activities or provide practical help through driving or gardening. 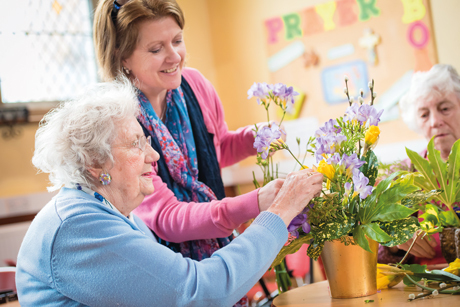 Currently, there are over 1,200 volunteers involved in our care homes. 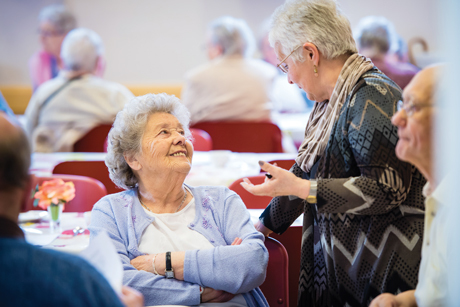 Volunteers can also support the work of our Chaplaincy service, which offers support and spiritual guidance to people of all faiths and also to people without a particular faith. 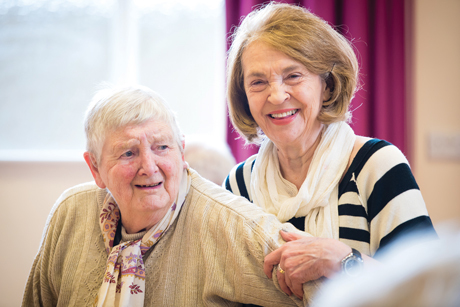 In our community-based Live at Home schemes, over 2,600 volunteers help us to provide services to older people, promoting independence and offering different social opportunities such as lunch clubs, befriending, exercise groups and coffee mornings. The range of services offered varies locally depending on the needs of the community. Community drivers and befrienders are also essential. Many people also support us by being part of a local committee helping the scheme to run smoothly. Expand your skills and enhance your CV. Read first-hand what it's like to volunteer in an MHA care home and Live at Home scheme on our Volunteer Stories page.